Since its creation, the SuperYacht Racing Association (SYRA) has continued to keep safety at the forefront of all of its events, and has implemented many measures over the years to enhance this aspect of superyacht racing, including the 40m rule and the requirement of a safety officer on board all participating yachts. 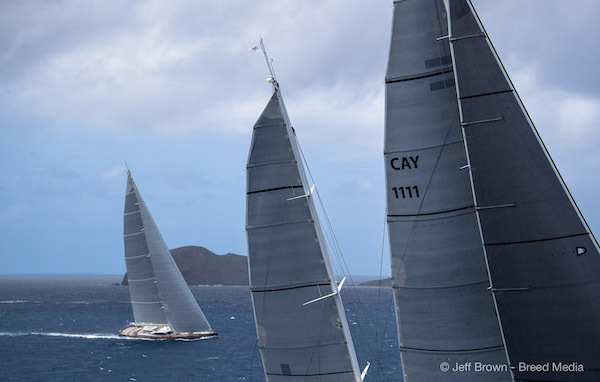 This year’s St Barths Bucket saw particularly challenging conditions, with big sea states and fairly strong winds over the course of the four days. There were a number of incidents on board yachts during the regatta, including several man overboard situations, a dislocated shoulder and a broken finger. While speaking to a key sailing yacht builder during the event, it was suggested that more could be done to lessen the likelihood of such incidents occurring. It is likely that there are many more incidents and near misses that go unreported or unaccounted for over the course of any regatta. As such, this particular industry player suggested the concept of a mandatory accident reporting system implemented by the organisers. If the captains or safety officers of all participating yachts, when they returned to the race office after a day of racing, submitted an accident report of any accidents or near misses that occurred that day, including the scenarios and possible causes, then a better safety culture could be created at every event. In theory the reports could be anonymous, if this would help with encouraging submission, but they would enable SYRA to compile a record of common mistakes made or lessons learned by crew out on the race course when sailing yachts are being pushed to their limits. It is often heard in the sailing sector that, while regattas are fun, the fun will only last until a serious accident occurs and the insurance companies no longer want cover such an activity. Surely a culture of accident reporting and incident sharing would be something that both the organisers, owners and insurance companies could get behind and help to prevent such a scenario ever coming about?